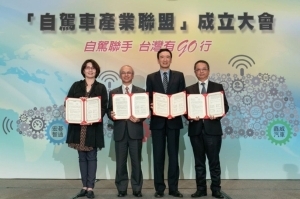 The May 2015 issue of the Taiwan Transportation Equipment Guide (TTG), the largest, longest-running and most influential sourcing guide covering automotive product and service suppliers in Greater China, will be displayed at major trade shows by the Taiwan-based China Economic News Service (CENS) to promote business between Greater China suppliers and buyers worldwide. 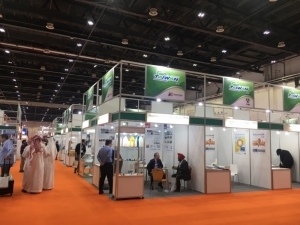 We look forward to meeting and serving international buyers, exhibitors and other interested parties at the upcoming trade shows, including the largest-ever five-in-one mega exhibition for cars, PTWs, EVs, auto electronics etc. in Taipei from April 8-11. Our exhibition booths in the upcoming shows in Taipei will offer practical information on key events and subscription services, as well as souvenirs, gifts and free drinks, snacks to registered buyers. 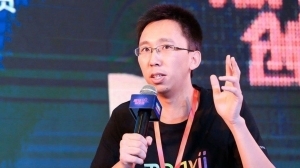 The 5-in-1 platform covers practically everything related to cars, EVs, PTWs, auto electronics to be a convenient sourcing event that is unprecedented in Taipei. 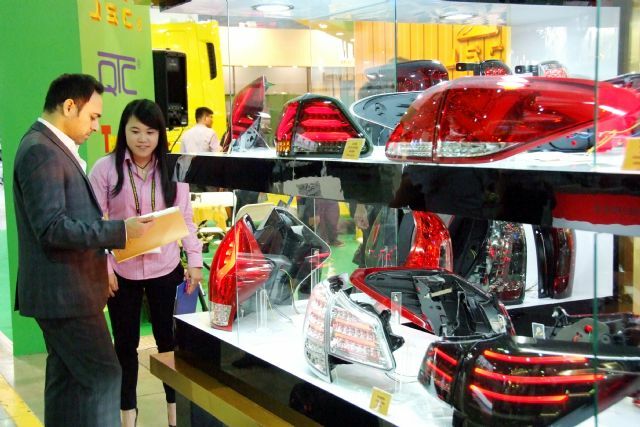 The four-day show includes the 2015 Taipei Int'l Auto Parts & Accessories Show (Taipei AMPA), International Automobile Electronics Show (AutoTronics Taipei), Taiwan International Motorcycle Industry Show (Motorcycle Taiwan), Taiwan Int'l Electric Vehicle Show (EV Taiwan), and Tuning and Car Care Taiwan, to be held at Taipei World Trade Center Nangang Exhibition Hall and Exhibition Hall 1 (Shinyi Rd.) April 8-11, 2015. 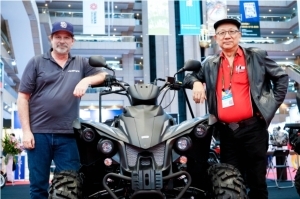 The show organizer TAITRA says the event is the only specialized exhibition platform for two-wheeled and four-wheeled vehicles to be held in Asia. 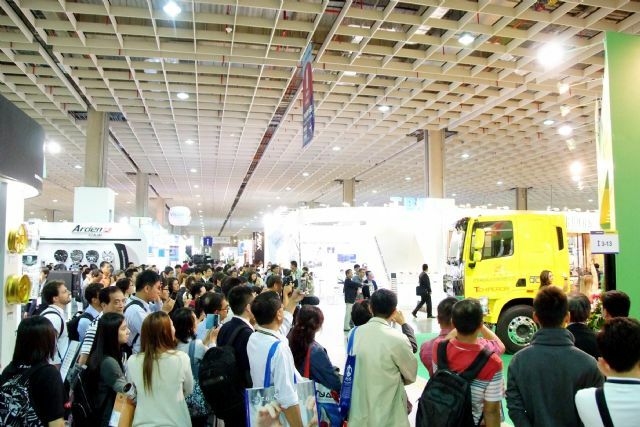 Boasting 4,000 booths and expected to attract 8,000 buyers from 130 countries, the five-in-one mega show promises to be Asia's most comprehensive automotive trade show. 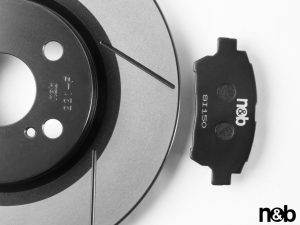 After years of effort, the auto parts and accessory industry in Taiwan has transformed from an OEM-oriented industry to one that can now claim to be capable of design and development. Standards of product safety, stability and innovation have been affirmed by renowned international companies, and exports have been growing steadily. 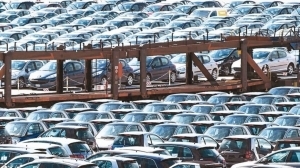 In the first nine months of 2014, accumulated auto-parts export value of Taiwan was NT$154.4 billion (US$5.15 billion), and the whole-year total is expected to grow by about 5 percent to exceed NT$200 billion (US$6.67 billion). 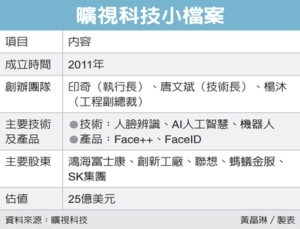 TAITRA says that in 2015 Taipei AMPA will enter its 31st session, with all major manufacturers having registered to attend. 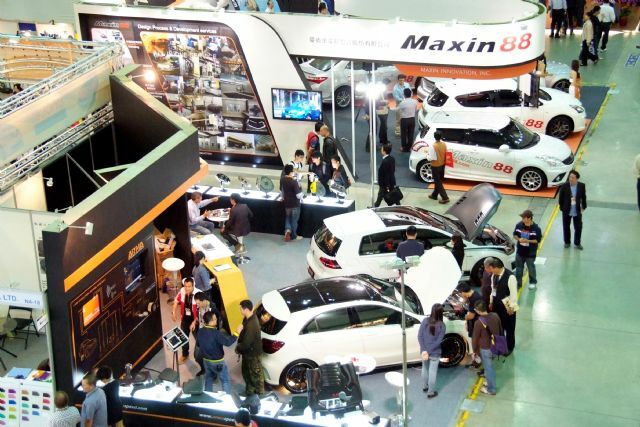 The number of manufacturers and exhibition booths are expected to grow by more than 5 percent, a testament to the growth of Taipei AMPA and Taiwa's automotive parts and accessory industry. 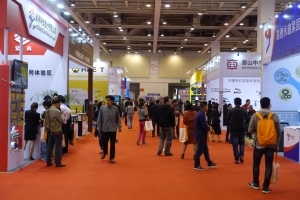 A number of auto-related shows have been organized in recent years in response to rising adoption of electronics in auto parts and accessories, growth of the motorcycle industry and growing emphasis on carbon reduction, including AutoTronics Taipei, Motorcycle Taiwan, EV Taiwan, and the latest Tuning and Car Care Taiwan. 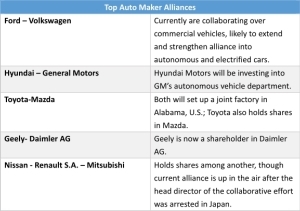 Together, these shows underline the comprehensiveness of the automobile and motorcycle supply chain in Taiwan and provide a one-stop sourcing platform for foreign buyers. This year TAITRA will hold the inaugural "Tuning and Car Care Taiwan" to tap opportunities in the increasingly sizable car tuning market. 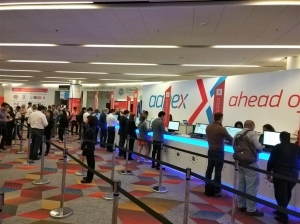 The show integrates two-wheeled and four-wheeled exhibits across four venues dedicated to car and motor tuning parts and accessories, car care tools and equipment, car and motor repair tools and services, and car and motor tuning services. 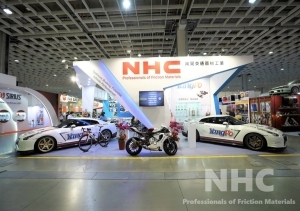 Several well-known manufacturers in the tuning and car-care industry have signed up for the show, including Fu-Lun Motors, Zuo Huang Product Development (Innotech Performance Exhaust (IPE), and Yao Cheer Co., Ltd. Over 150 booths have been booked to display modified automobiles and motorcycles, performance and tuning items, equipment and tools, body finishes, and other paint and maintenance products. 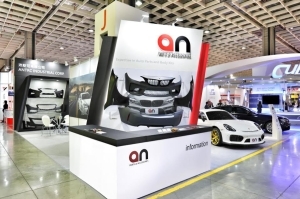 Buyers and interested parties can expect wow factor too, including performance-car displays and competitions.